“The Cross, however designed, represents the most horrific way any human being could die. It symbolises the worst that humans do to each other. It shows the most degrading way of treating the human body and is the most cruel method of extinguishing a human life. It allows no comfort to those who stand and watch their loved ones die. Crucifixion degrades judge, executioner, victim and observer. It still continues. Beyond this degradation, Christians have been empowered to see something greater, and new, emerging from the crucified corpse of the God who became Man, in Jesus Christ. Like so many millions of others, before and since, he was a victim. Nothing in his behaviour was criminal enough to deserve such a capital sentence. The authorities of his time thought differently. To them he was a threat to their power, for Jesus healed people, he did not exploit them. Even on holy days when ‘work’ was not permitted, he brought healing, repairing broken bodies, giving life to the dead, even controlling nature – disempowering wind, expanding a few loaves to feed multitudes, walking on water to save his struggling friends. Such work can only be a threat to those who hunger for the power to exploit. That power is destructive, of the victim and the agent, of community and humanity. Power used for selfish ends always destroys someone else. The power that Jesus brought to the world was a power to affirm, to heal, to expand. Nowhere was this power more convincingly shown than in the manner of his death. He alone held the key to unlock the door, closed tight till then for the whole of human history…the empty tomb, followed by Jesus’ real appearance to Mary Magdalene, changed it all. No wonder the disciples who met the Risen Jesus on the road to Emmaus were so astonished. It is precisely that astonishment we recall when we look at the Cross. Death no longer has any power, not just for a few, but for anyone who sees the Cross as the gift of life, a gift to be shared with the ‘other’, not possessed for myself. That is what makes the Cross unique and precious. Without it the future is increased pain, suffering and despair. With it we look forward with hope and trust to eternal joy in the presence of God. I must begin by declaring an interest, in the sense that Serena and I have known each other for more years than I can remember, mostly through our shared love of India. Our lives seem intertwined, rather like ‘A Dance To The Music of Time‘ and we recently met again serendipitously at morning service in our Hampshire church. You will find it hard not to look first at the images. But you will miss much if you don’t go on to explore the accompanying meditations, which are also a delight: what could be a better accompaniment to Lent and the road to Calvary? Depending on which tradition you come from, you may find the crucifix a compelling image or hard to ‘gaze and gaze upon‘. I admit that I find it hard to ponder the meaning of the Crucifixion when confronted with the horror of the death itself. And the artist’s interpretation I also find intrusive. For me, it is more helpful to have a plain cross to contemplate as it provides a focus as well as allowing the imagination free rein. 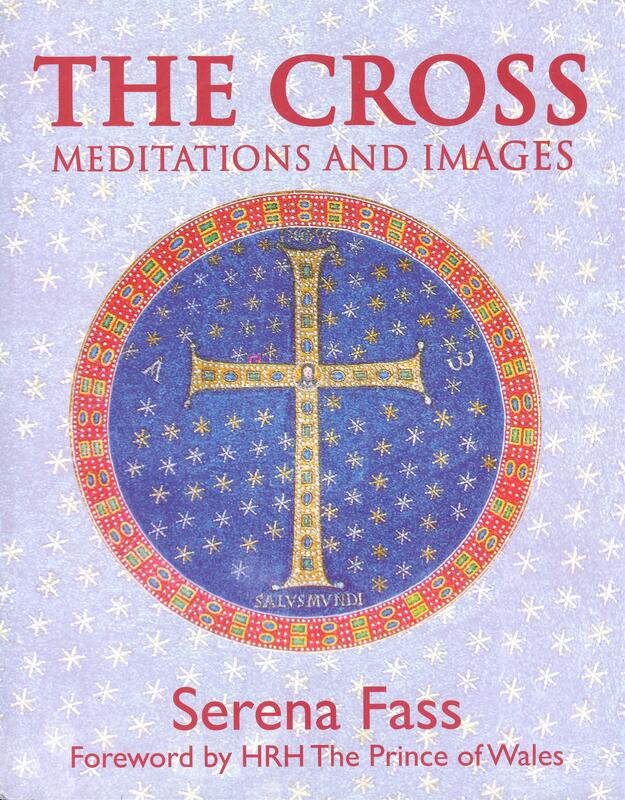 Serena is ahead of me on this, in that perhaps half of the images are of simple crosses, although in contexts which are again in incontrovertible reference to the Crucifixion as a summary of our faith. Serena Fass is well-served by her publisher, Gilgamesh, specialists on the world of the Middle East from which sprang Christianity and the Cross. If you order directly from them, quoting this review, they will sell it at a £5 discount. This book underlines the fact that, as God humbled himself to become a man, so we have to humble ourselves and die with Him on the Cross to meet Him and inherit eternal life.